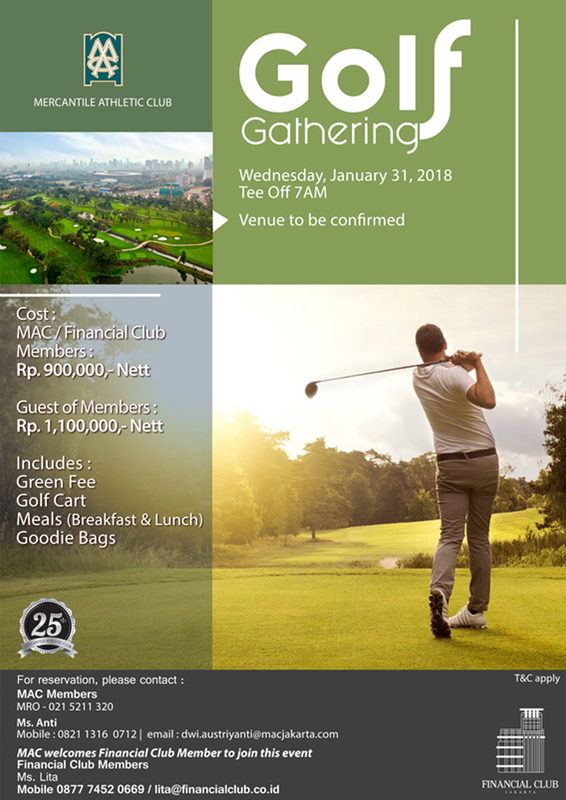 Please kindly register at our Weekday Golf Gathering at Gading Raya Padang Golf Club (Gading Serpong), Wednesday, January 31, 2018. Guest of Member will be charge Rp 1.100.000,-/ person. The Registration Fee included Breakfast, Lunch, Green Fee, Caddy Fee , Golf Cart, Goody Bag and Lucky Draw. We look forward for your confirmation and should you have any questions, please feel free to contact Lita at 021 2505090 or 6287774520669. Thank you and have an inspiring day ahead. • Members Gathering "Lunar Valentine"